St. Augustine Church in Bridgeport, Montgomery County, which has been a worship site of Sacred Heart Parish in Swedesburg since 2014, will close effective Jan. 11, 2017, Archbishop Charles Chaput announced Dec. 11. The past might never be far behind, but for the Catholic community in the Philadelphia Archdiocese, vestiges of its past continue to fall away. Several churches will close as Catholic worship sites and may be sold to alleviate significant parish debts, Archbishop Charles Chaput announced Dec. 11. Most of the four affected churches had ceased to operate as parishes and had merged in recent years as part of the pastoral planning initiative of the archdiocese, which began in 2010. The process examines parishes to assess strengths, weaknesses and opportunities for future sustainability. The churches include St. Augustine, Bridgeport; Assumption B.V.M., West Grove; and St. Therese and St. Madeleine Sophie, both in Philadelphia’s Mount Airy section. All will close effective Jan. 11, 2017. They may be sold at the discretion of the pastor of the parishes of which they are now a part. In Philadelphia’s Mount Airy section, St. Madeleine Sophie and St. Therese of the Child Jesus churches became worship sites of Holy Cross Parish in July 2013. According to information from the archdiocese, in the process of the merger the receiving parish of Holy Cross assumed the assets of St. Madeleine and St. Therese, as well as any debts, including ongoing maintenance costs. Such is the standard procedure with all parish consolidations in the archdiocese. With $1.6 million in debt presumably to the archdiocese and a $39,000 annual operating deficit at the June 30 close of the 2015 fiscal year, Holy Cross is unable to continue maintaining its two worship sites without jeopardizing the long-term sustainability of the parish, according to a Dec. 11 release from the archdiocese. The ongoing costs and projected needs for the two churches in the next five years appear high. St. Therese needs $25,000 in annual maintenance and another $33,000 for immediate repairs, plus a projected $40,000 in deferred replacement of the parking lot in the next five years. St. Madeleine faces $60,000 in annual maintenance, and a new heating and plumbing system will be needed in five years. Both churches are physically attached to unoccupied school buildings. Meanwhile the churches themselves see little sacramental activity. Since the July 2013 merger, St. Therese had no weddings and “a handful” of funeral Masses, according to the archdiocese, while St. Madeleine had “less than 15” funerals and two weddings in the last three years. A similar situation is playing out in Montgomery County. St. Augustine in Bridgeport became a worship site of Sacred Heart Parish in nearby Swedesburg in 2014. Sacred Heart also assumed the assets and debts of St. Augustine, along with those of Our Lady of Mount Carmel, both in Bridgeport. St. Augustine’s annual and deferred maintenance costs “range in the hundreds of thousands of dollars,” according to the archdiocese’s statement, and they contribute to Sacred Heart Parish’s significant annual operating deficit. 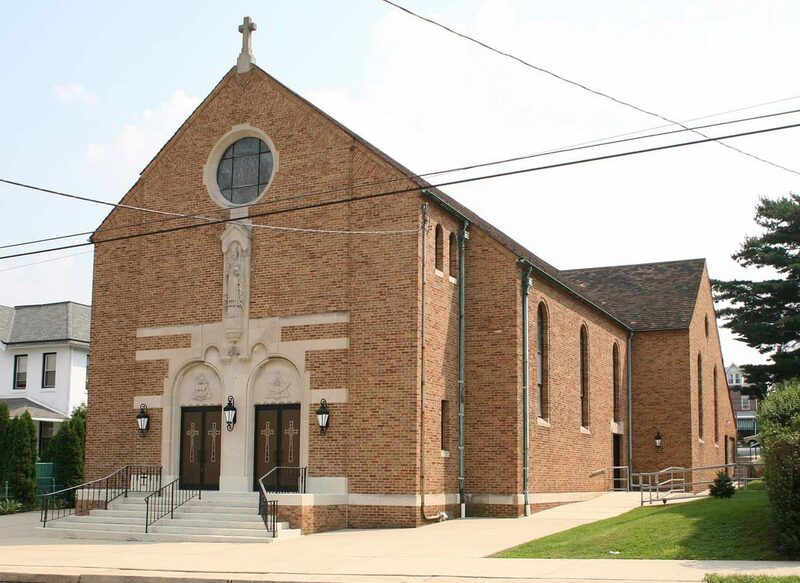 While Sacred Heart Parish “has some financial reserves,” the statement said, the parish had a deficit of “almost $300,000 in its first fiscal year of existence,” ending in 2015. Selling the building, which the archbishop’s decision now allows, might become difficult because mold was discovered in the church and as of December 2015 no liturgies have been held in the church out of concern for worshipers. In Avon Grove, Chester County, parishioners of Assumption B.V.M. had used a small church from 1873 until 2001, when a new church was built. The original church, referred to as “St. Mary’s Chapel,” had been used occasionally as a worship site but not since the winter of 2014 when it was closed for safety concerns. The annual costs for maintaining the chapel and an unattached convent exceeded $15,000 in the last fiscal year. Deferred maintenance to the building complex is estimated at $120,000. Possible sale of the original church and convent, at the discretion of the pastor and parish community, might help Assumption reduce its $2.3 million debt. I will pray that the people in these Parishes do not lose their faith. EWTN is always availiable.